The goal of this project is to creatively redesign the underutilized service lanes on the southbound side on New Hampshire Avenue as a two-directional bikeway, while still providing vehicular access to properties. 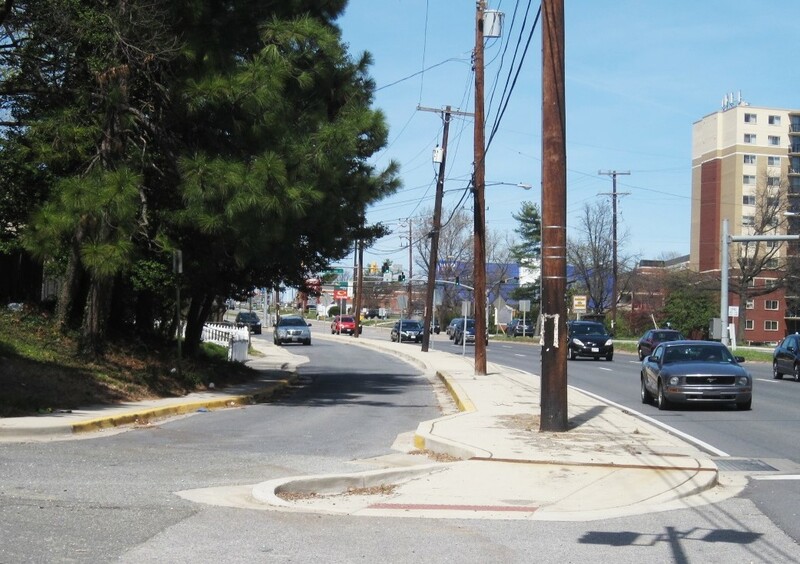 The second design phase of the project, supported by a Maryland Bikeways grant, continues to develop the design. It will provide design and consideration of pavement markings, signage, curb and sidewalk adjustments, vertical barriers between cyclists and vehicular traffic, and possible elimination of some curbside parking in the service lane. This project builds on the 2012 New Ave Feasibility Study, the 2016 MWCOG grant for preliminary design, and the 2016 Bikeshare expansion into Ward 6. The outcome of the project is 60% Plans that the City can use to apply for further funding to complete engineering and eventual construction. The New Ave Bikeway Project was awarded a Maryland Bikeways grant on November 29, 2017 to continue the design work for the project. A grant agreement with the Maryland Department of Transportation was executed in July 2018. City Council passed an ordinance to execute a contract for design and engineering services foe the bikeway on September 5, 2018. Design work and agency stakeholder meetings are ongoing and public outreach will occur at a later stage of the project. Southbound New Hampshire Avenue side service lane, looking north from Glenside Drive. Funding Sources: Design costs for the project are funded by a grant from the Maryland Bikeways, awarded in November, 2017. The City was awarded $60,000 for preliminary design of the New Ave Bikeway from the Metropolitan Washington Council of Governments (MWCOG).The first phase of design of the New Ave Bikeway Project was completed in June 2017. The City, in conjunction with MWCOG, selected a project consultant, Rummel, Klepper, and Kahl (RK&K). After meeting with City staff and stakeholders, RK&K developed 15% plans for the design and presented at a community meeting on March 16, 2017. They then incorporated public and agency stakeholder comments in the development of 30% design plans, presented to Council on May 17, 2017.